Status: Contest finished on 01-04-2010. New remix contest by Musicaoltranza, a new online community. You have the chance to win a digital release remixing the track “Studio Works Vol 1? by Touane. Good luck! 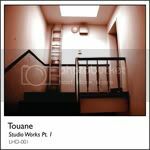 Musicaoltranza inaugurates the new community with this Touane Remix contest, aims to present the new label German Italian artist who has released in December, the first ep “Studio Works, Vol.1“To participate join our community and download audio files from Touane REMIX CONTESTs bLOG. The winning tracks will be part of ‘ep “Bare Duty Remix” which will be released in digital distribution for Musicaoltranza Digital Label.